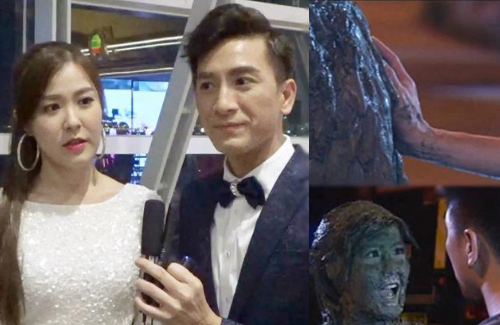 The Exorcist’s Meter <降魔的> costars, Kenneth Ma (馬國明) and Moon Lau (劉佩玥), attended a TVB function and was teased about their chest-grabbing scene in a recent episode. In the scene, Kenneth touched Moon’s chest. In response to his action, Moon slapped Kenneth across the face, reprimanding him for being a creep.